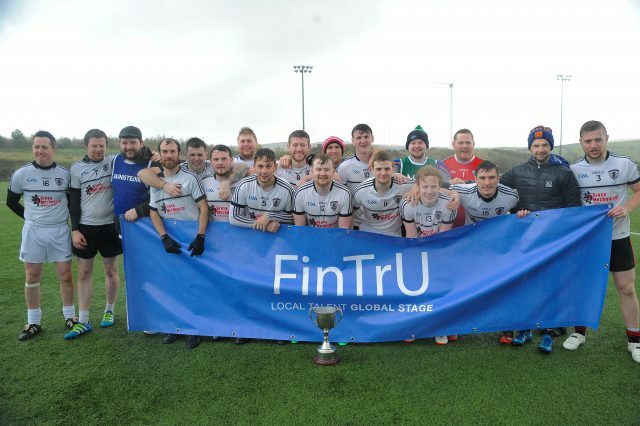 Garvaghey played host to the 2018 FinTrU Ulster GAA Senior and Intermediate Men’s Inter-Firms competition on Saturday, with nine teams battling it out for the two titles on offer. In the end, Ardboe Coldstore claimed the Senior title with Creagh Concrete 1 emerging victorious in the Intermediate final. Section A was a five team group which saw Ardboe Coldstore claim top spot after three wins and a draw in their four games. That draw came against Creagh Concrete 1, who lost out 1-2 to 0-3 to Kingspan in the final group game which decided second spot. 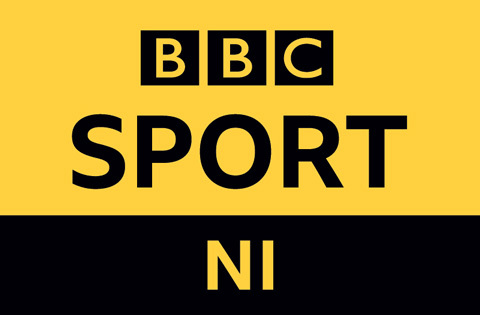 The NI Fire & Rescue Service claimed victory over Ulster Surveyors to claim the other Intermediate place on offer. In Section B, HTC Mechanical defeated Mallaghan in the first game, with LCC Group overcoming Creagh Concrete 2. A late goal for LCC Group in the second game saw them defeat HTC Mechanical by the minimum, and they would make it three from three and top the section after a convincing victory the final game. 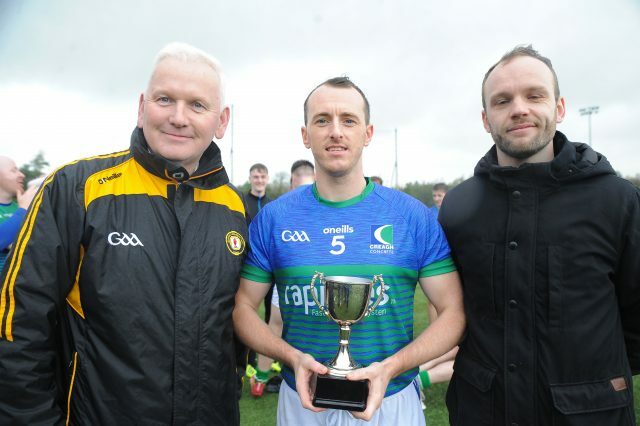 In the Intermediate semi-finals, Creagh Concrete 1 overcame Creagh Concrete 2 in a keenly contested game while NIFRS put in a strong performance to push past Mallaghan. In the Final, NIFRS seemed to have done enough but a wonder point from Creagh Concrete 1 forced the game to extra time, and an early goal was enough to see Creagh emerge as winners. The Senior semi-finals, LCC Group needed a late goal to squeeze past Kingspan while Ardboe Coldstore had too much for HTC Mechanical. An early goal in the final for Ardboe Coldstore put them in control against LCC Group and although they closed the gap, they could never get on top. 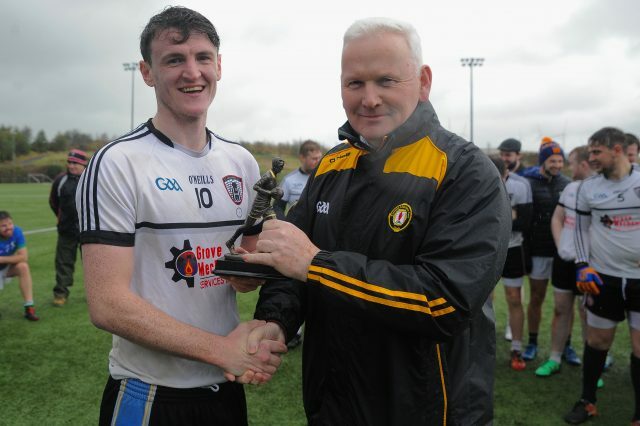 Ryan Kelly captained Ardboe Coldstore to victory and full back Oisin Devlin was named Player of the Tournament. This weekend there are over 30 teams set to do battle for the FinTrU Ulster GAA Junior Football honours and FinTrU Ulster GAA Ladies Football title.